I don't know the make or model of these copters. But, along with those tanks, they sure look like they mean business. Good afternoon Mr. Gordon, hope all is well on the trail. According to www.helicoptersonstamps.co.uk/page101.html the helicopters are S-70s. The following 1991 Canadian FDC contains 4 stamps depicting dangerous occupations (Scott # 1330 - 1333). 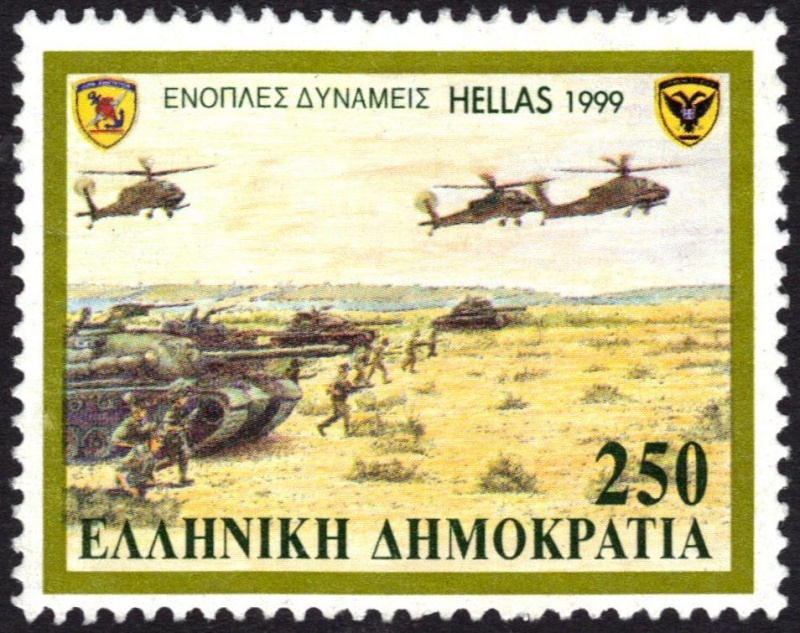 The upper left stamp shows a helicopter involved in a ski patrol operation while the lower right stamp shows a helicopter involved in a search and rescue operation. This 1998 Canadian souvenir sheet was issued to commemorate the 125th Anniversary of the RCMP and contains two new stamp issues portraying the RCMP at its inception and today (Scott # 1736 & 1737). The stamp on the right shows a helicopter utilized by the RCMP. The Air Services Branch of the RCMP has approximately 42 aircraft of which approximately 10 are helicopters.